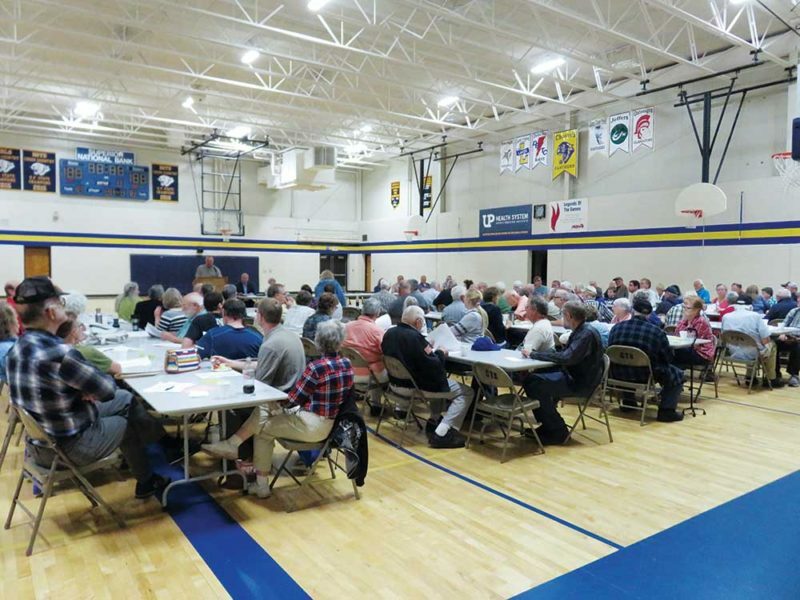 Chassell High School was the setting for the 2017 Ontonagon County Rural Electrification Association’s (OCREA’s) Annual Meeting held on Saturday, June 17. Approximately 150 members from the co-op’s five county service area attended the event which featured food, prize drawings, reports from the co-op manager and the board of directors and seating of new directors. According to General Manager Debbie Miles, “This is the first meeting since 2014 that we have had a quorum and this provided a lot of input from the membership.” During the business portion of the meeting three resolutions were presented regarding bylaws, redistricting and transparency. After a spirited open discussion between members and staff these resolutions were voted on and passed. Reports regarding overviews of the 2016 co-op operations, finances and highlights from the past year were presented by both President Koski and General Manager Miles. Board of Directors ballots were opened and counted by a committee chaired by Peggy Macko. James Moore ran unopposed for the vacancy in District 7 Boston/Lake linden and incumbent Paul Koski defeated Jerry Kitzman to win District 3 Ewen/Trout Creek. Both directors were seated at the meeting.